Item Description: Telegraph dated 16 May 1864 from W.A. Graham to his wife regarding their son James. Ball extracted from James leg today. Doing well. 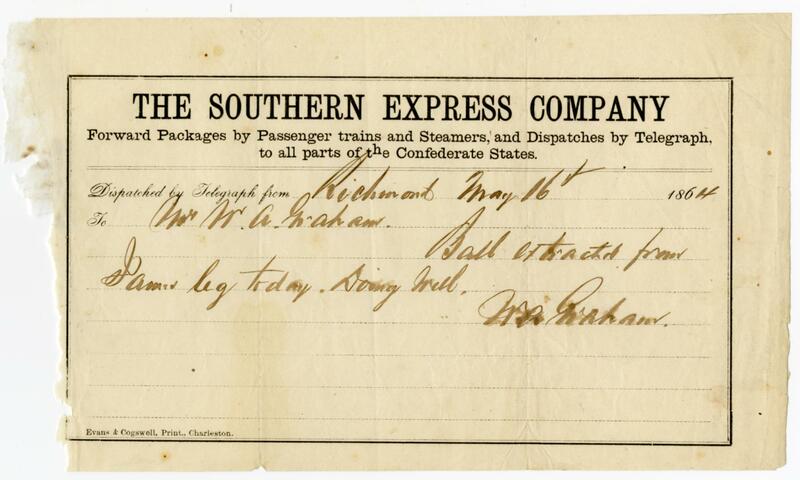 This entry was posted in Southern Historical Collection and tagged injuries, James Augustus Graham Papers, Southern Express Company, telegraphs, W.A. Graham. Bookmark the permalink.